BRITISH STANDARD BS EN 1253-5:2003 Gullies for buildings — Part 5: Gullies with light liquids closure The European Standard EN 1253-5:2003 has the status of a British Standard ICS 91.140.80                                                                       BS EN 1253-5:2003 This British Standard, was published under the authority of the Standards Policy and Strategy Committee on 18 November 2003 © BSI 18 November 2003 ISBN 0 580 42925 3 National foreword This British Standard is the official English language version of EN 1253-5:2003. The UK participation in its preparation was entrusted to Technical Committee B/505, Waste water engineering, which has the responsibility to: A list of organizations represented on this committee can be obtained on request to its secretary. Cross-references The British Standards which implement international or European publications referred to in this document may be found in the BSI Catalogue under the section entitled “International Standards Correspondence Index”, or by using the “Search” facility of the BSI Electronic Catalogue or of British Standards Online. This publication does not purport to include all the necessary provisions of a contract. Users are responsible for its correct application. Compliance with a British Standard does not of itself confer immunity from legal obligations. — aid enquirers to understand the text; — present to the responsible international/European committee any enquiries on the interpretation, or proposals for change, and keep the UK interests informed; — monitor related international and European developments and promulgate them in the UK. Summary of pages This document comprises a front cover, an inside front cover, the EN title page, pages 2 to 8, an inside back cover and a back cover. The BSI copyright notice displayed in this document indicates when the document was last issued. Amendments issued since publication Amd. No. Date CommentsEUROPEAN STANDARD NORME EUROPÉENNE EUROPÄISCHE NORM EN 1253 5 November 2003 ICS 91.140.80 English version Gullies for buildings   Part 5: Gullies with light liquids closure Avaloirs et siphons pour le bâtiment   Partie 5: Avaloirs et siphons avec arrêt de liquide à basse densité Abläufe für Gebäude   Teil 5: Abläufe mit Leichtflüssigkeitssperren This European Standard was approved by CEN on 1 September 2003. CEN members are bound to comply with the CEN/CENELEC Internal Regulations which stipulate the conditions for giving this Europe an Standard the status of a national standard without any alteration. Up to date lists and bibliographical references concerning s uch national standards may be obtained on application to the Management Centre or to any CEN member. This European Standard exists in three official versions (English, French, German). A version in any other language made by tra nslation under the responsibility of a CEN member into its own language and notified to the Management Centre has the same status as the  official versions. CEN members are the national standards bodies of Austria, Belgium, Czech Republic, Denmark, Finland, France, Germany, Greece, Hungary, Iceland, Ireland, Italy, Luxembourg, Malta, Netherlands, Norway, Portugal, Slovakia, Spain, Sweden, Switzerland and Un ited Kingdom. EUROPEAN COMMITTEE FOR STANDARDIZATION COMITÉ EUROPÉEN DE NORMALISATION EUROPÄISCHES KOMITEE FÜR NORMUNG Management Centre: rue de Stassart, 36    B 1050 Brussels © 2003 CEN All rights of exploitation in any form and by any means reserved worldwide for CEN national Members. Ref. No. EN 1253 5:2003 EEN 1253 5 :2003 (E) 2 Contents page Foreword3 1 Scope 4 2 Normative references 4 3 Terms and definitions. 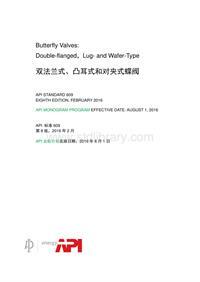 .4 4 Types.4 5 Materials5 6 Requirements .5 6.1 General5 6.2 Inflow.5 6.3 Apertures in gratings. 5 6.4 Security height . 5 6.5 Tightness 5 6.6 Maintenance .5 6.7 Manufacturer s product information 5 6.8 Flow rates .5 6.9 Marking of floats . .5 7 Test methods 6 7.1 General6 7.2 Closing ability and tightness. .6 7.3 Security height . 6 8 Place of installation . 6 9 Marking .6 10 Quality control 7 Bibliography 8EN 1253 5 :2003 (E) 3 Foreword This document (EN 1253 5:2003) has been prepared by Technical Committee CEN/TC  165 “Waste water engineering”, the secretariat of which is held by DIN. This European Standard shall be given the status of a national standard, either by publication of an identical text or by endorsement, at the latest by May 2004, and conflicting national standards shall be withdrawn at the latest by May 2004. According to the CEN/CENELEC Internal Regulations, the national standards organizations of the following countries are bound to implement this European Standard: Austria, Belgium, Czech Republic, Denmark, Finland, France, Germany, Greece, Hungary, Iceland, Ireland, Italy, Luxembourg, Malta, Netherlands, Norway, Portugal, Slovakia, Spain, Sweden, Switzerland and the United Kingdom.EN 1253 5 :2003 (E) 4 1 Scope This European Standard specifies requirements for the design, construction, performance, application and marking as well as test methods of factory made gullies with a light liquid closure for buildings. 2  Normative references This European Standard incorporates by dated or undated reference, provisions from other publications. These normative references are cited at the appropriate places in the text, and the publications are listed hereafter. For dated references, subsequent amendments to or revisions of any of these publications apply to this European Standard only when incorporated in it by amendment or revision. For undated references the latest edition of the publication referred to applies (including amendments). EN 1253 1:2003,  Gullies for buildings   Part 1: Requirements. EN 1253 2,  Gullies for buildings   Part 2: Test methods. EN 1253 3:1999,  Gullies for buildings   Part 3: Quality control. 3  Terms and definitions For the purposes of this European Standard, the following terms and definitions apply. 3.1 trapped gully with a light liquid closure device gully with closure device which prevents the light liquid from entering the drainage system NOTE There are two types. Type A is a gully designed with an integral closure device. Type B is a gully with a closure device as an accessory. 3.2 light liquid closure light liquid closure is a device which automatically closes the gully outlet when a certain level of light liquid is present 3.3 light liquid liquid with a density not greater than 0,95 g/cm³ which is actually or practically insoluble and unsaponifiable, e.g. petrol, diesel fuel, fuel oil 4 Types Type A: Gully with light liquid closure device with a flow rate according to EN 1253 1 for the unlimited use in gravity drainage systems. Type B: Gully with light liquid closure device which is incorporated as an accessory, with a minimum flow rate given in EN 1253 1, which may be reduced up to 30 % for use in gravity drainage systems.EN 1253 5 :2003 (E) 5 5 Materials All material in contact with the light liquid and the wastewater shall be resistant to light liquids, and to wastewater. 6 Requirements 6.1 General A gully with light liquid closure device shall fulfil all relevant requirements given in EN 1253 1, and the following requirements given in 6.2 to 6.9. 6.2 Inflow The inflow shall be through the grating on the top of the gully. Inlets under the grating and behind the light liquid closure are not allowed. 6.3  Apertures in gratings There shall be no apertures in the grating directly above the automatic closure device. 6.4  Security height When the automatic closure device has closed the gully, there shall be a security distance between the sealing and the separating line between water and light liquid of  ‡  30 mm. 6.5 Tightness When tested in accordance with 7.1 leakage shall be less than 0,1 l/h. 6.6 Maintenance Closure devices shall be regularly maintained and be easily removable for servicing. 6.7 Manufacturer s  product  information The manufacturer shall supply all the appropriate information concerning the use of the trapped gully with  light liquid closure, e.g. handling, transport, temporary storage and instructions for installation, operation and maintenance. 6.8  Flow rates Where a gully with light liquid closure is designed as a type A, the gully flow rate shall be as given in EN 1253  1:2003, 8.11. Where a light liquid closure is designed to fit in an existing gully of type B, the gully flow rate given in EN 1253  1:2003, 8.11 may be reduced by up to 30 %. 6.9  Marking of floats Float operated automatic closure devices for light liquids shall be marked with appropriate light liquid density for which they are designed.EN 1253 5 :2003 (E) 6 7 Test  methods 7.1 General The gully shall, by means of the test methods in EN 1253 2, demonstrate the fulfilling of all the relevant requirements given in EN 1253 1. 7.2  Closing ability and tightness After the flow rate test according to EN 1253 1 and EN 1253 2 add light liquid with a density corresponding to that indicated by the manufacturer  –  0,015 g/cm³ at 12 °C, slowly ( £  0,1 l/s) into the gully, until the closure device closes, but at least up to the top of the grid. Place a container under the pipe outlet, and determine after 1 h the amount of water and light liquid in the container. 7.3  Security height When the closure device has closed (see 7.2), measure by suitable methods the distance between the sealing and the separating line between water and light liquid. 8  Place of installation Gullies with light liquid closure device are intended for use instead of normal floor gullies where, in case of accident, light liquid would enter the drainage system. 9 Marking Gullies with light liquid closures devices and their components shall bear the following clear and durable markings, for example, cast on, by engraving, painting, stamping and label (see Table 1): a) EN  1253 5; b)  name and / or mark of the manufacturer; c)  period of manufacture (coded or not); d)  identification of independent certification body, where applicable; e)  identification of DN, loading class and type; f)  light liquid density. Further marking may be added (e.g. for the application). The marking shall be visible where possible, after the unit has been installed.EN 1253 5 :2003 (E) 7 Table 1 — Location of marking of gullies with light liquid closure Gully body Grating Float device Components Package EN 1253 5 x x x  a x  a x Manufacturer’s name or mark x x  a x Period of manufacture x Independent certification body  b x Loading Class x x  a x DN x x Light liquid density x x Type x  a x a  where possible b  where applicable Where the application of the marking would be detrimental to the production and/or functioning of the product, the marking shall be included on the packaging. 10  Quality control The quality control shall be provided as given in EN 1253 3 NOTE EN 1253 3:1999, annex A gives information in the case where third party control is carried out.EN 1253 5 :2003 (E) 8 Bibliography EN 124, Gully tops and manhole tops for vehicular and pedestrian areas   Design requirements, type testing, marking, quality control. EN 476,  General requirements for components used in discharge pipes, drains and sewers for gravity systems.blankBS EN 1253-5:2003 BSI 389 Chiswick High Road London W4 4AL BSI — British Standards Institution BSI is the independent national body responsible for preparing British Standards. It presents the UK view on standards in Europe and at the international level. It is incorporated by Royal Charter. Revisions British Standards are updated by amendment or revision. Users of British Standards should make sure that they possess the latest amendments or editions. It is the constant aim of BSI to improve the quality of our products and services. We would be grateful if anyone finding an inaccuracy or ambiguity while using this British Standard would inform the Secretary of the technical committee responsible, the identity of which can be found on the inside front cover. Tel: +44 (0)20 8996 9000. Fax: +44 (0)20 8996 7400. BSI offers members an individual updating service called PLUS which ensures that subscribers automatically receive the latest editions of standards. Buying standards Orders for all BSI, international and foreign standards publications should be addressed to Customer Services. Tel: +44 (0)20 8996 9001. Fax: +44 (0)20 8996 7001. Email: orders@bsi-global.com. Standards are also available from the BSI website at http://www.bsi-global.com. In response to orders for international standards, it is BSI policy to supply the BSI implementation of those that have been published as British Standards, unless otherwise requested. Information on standards BSI provides a wide range of information on national, European and international standards through its Library and its Technical Help to Exporters Service. Various BSI electronic information services are also available which give details on all its products and services. Contact the Information Centre. Tel: +44 (0)20 8996 7111. Fax: +44 (0)20 8996 7048. Email: info@bsi-global.com. Subscribing members of BSI are kept up to date with standards developments and receive substantial discounts on the purchase price of standards. For details of these and other benefits contact Membership Administration. Tel: +44 (0)20 8996 7002. Fax: +44 (0)20 8996 7001. Email: membership@bsi-global.com. Information regarding online access to British Standards via British Standards Online can be found at http://www.bsi-global.com/bsonline. Further information about BSI is available on the BSI website at http://www.bsi-global.com. Copyright Copyright subsists in all BSI publications. BSI also holds the copyright, in the UK, of the publications of the international standardization bodies. Except as permitted under the Copyright, Designs and Patents Act 1988 no extract may be reproduced, stored in a retrieval system or transmitted in any form or by any means – electronic, photocopying, recording or otherwise – without prior written permission from BSI. This does not preclude the free use, in the course of implementing the standard, of necessary details such as symbols, and size, type or grade designations. If these details are to be used for any other purpose than implementation then the prior written permission of BSI must be obtained. Details and advice can be obtained from the Copyright & Licensing Manager. Tel: +44 (0)20 8996 7070. Fax: +44 (0)20 8996 7553. Email: copyright@bsi-global.com.